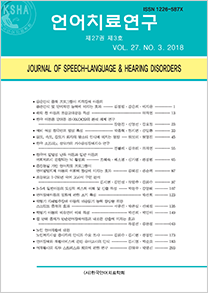 The "Journal of Speech-Language & Hearing Disorders" is the official journal of the Korean Speech-Language and Hearing Association (KSHA). KSHA publishes four issues per year (January, April, July, and October). The journal publishes peer-reviewed research on linguistics, psychology, pedagogy, speech science as a basic field, on language developmental disorders, articulatory disorders, voice disorders, fluency disorders as language disorders fields and on hearing impairments, developmental disorders, neurological disorders, swallowing disorders, augmentative & alternative communication, and bilingualism as related fields. The journal has published academic papers from theoretical foundations of each field from to diagnosis and treatment. 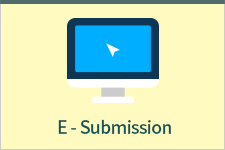 The journal provides a forum for exchanging the latest speech-language therapy information, while simultaneously aiming to disseminate results-based research into the clinical field of speech-language therapy.